Tata Motors is all set to strengthen its HEXA range of lifestyle SUVs with the launch of HEXA DOWNTOWN, Urban Edition. The HEXA DOWNTOWN amplifies the luxurious side of the HEXA, suitable for the stylish and successful executives who need to combine work and travel. Offering an exemplary and superlative drive in city condition, the HEXA DOWNTOWN not only takes the on-road capabilities of the HEXA but also blends them with the needs of an active and dynamic urban lifestyle customer. The HEXA DOWNTOWN will be available in limited numbers from November 3, 2017 onwards in two packages – the Absolute Pack and the Indulge pack. The DOWNTOWN range starts from 12.18 lakhs (ex-showroom – Delhi) for the XE variant. 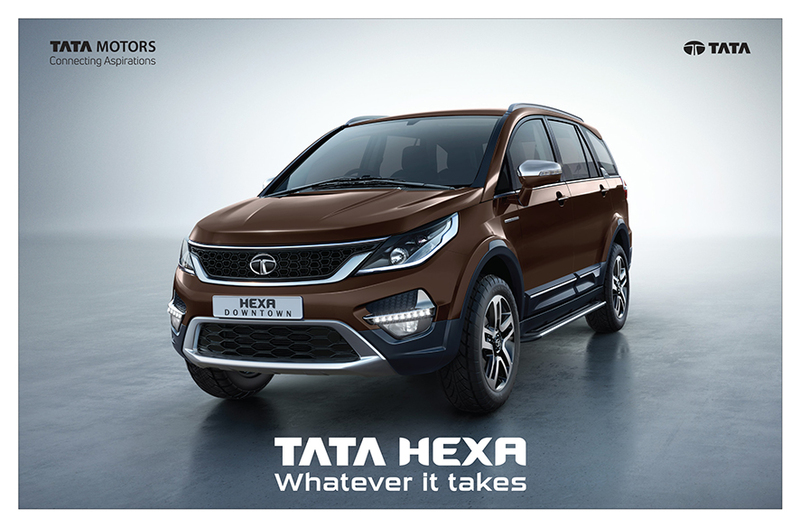 According to Mr. Mayank Pareek, President, Passenger Vehicle Business Unit, Tata Motors: “In order to offer our customers with an adrenaline pumped driving experience, we are happy to introduce the urban edition of the successful and versatile SUV, HEXA. The HEXA has caught the imagination of the country with its distinctive on-road and off-road capabilities. It has completely changed the face of Tata Motors and witnessed a strong traction in the market. The HEXA DOWNTOWN, as the name suggests is a vehicle inspired by the city life to match the customers’ charged urban lifestyle. With the new edition of the HEXA DOWNTOWN, we are sure to take forward our brand promise of offering customers aspirational products along with sheer value. It is power packed and feature loaded to enable customers to live the Urban lifestyle to the fullest. The HEXA DOWNTOWN stands out on the road in its unique ‘urban bronze’ colour. The bold chrome accessories across the body give the car a dual personality of a stylish and luxurious SUV coupled with an ultimate off-road vehicle. The HEXA DOWNTOWN features like Wireless Charger, premium tan seat covers, Blaupunkt rear seat entertainment player, Heads-up display with Tyre Pressure Monitoring System (TPMS) and so on, have been carefully designed keeping in mind the city’s 24×7 living style, tech lifestyle and diverse terrains.